Test automation makes it possible to significantly accelerate the launch of a software product and considerably reduces the cost of a test iteration. In today’s world the speed at which software products are coming to market is an integral part of the competitive struggle. Accordingly, IT managers strive to limit testing time. 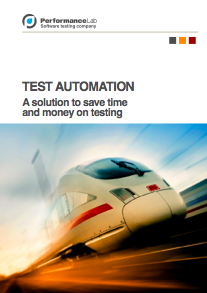 Indeed, tests – especially regression tests – often take a lot of time.